Thousands of Filipinos in Cambodia work in different sectors – in education, media, garments, advertising, hospitality, entertainment, etc. Like other workers in the Kingdom, they spend most of their weeks working hard to earn income for themselves and their families back in their home country. And like other workers, they too, need to be cautious of their health and wellbeing. 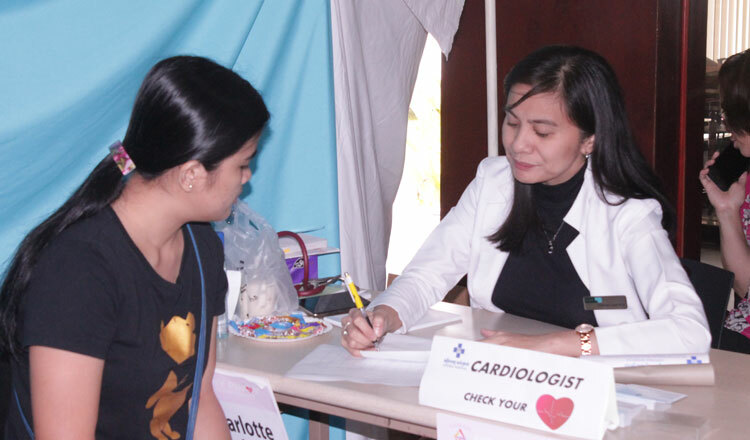 The Philippine Embassy and the Samahan ng mga Pilipino sa Cambodia (SAMAPI) on March 17 dedicated a full-day free medical mission to all the Filipino workers in Cambodia. Dubbed “Healthy Pinoy”, the annual event is SAMAPI’s way of gathering Filipinos together and encouraging them to keep themselves healthy, more because they’re living a thousand miles away from their families in the Philippines. SAMAPI is an organisation of and for Filipinos working and residing in the Kingdom. 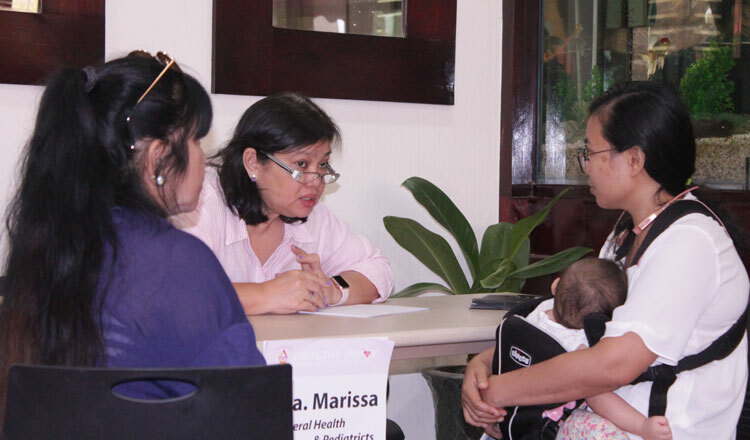 Filipino, Khmer and Thai medical practitioners helped check on every Filipino who attended the medical mission, and gave prescriptions and advice on their health status. Dr. Marissa Manampan offered her service for general health and pediatrics. Central Hospital Phnom Penh and Sunshine Dental Clinic offered dermatology and dental services, respectively. Meanwhile, Marie Stopes Cambodia gave free family planning and contraception information. Staff from Dr Rich Health&Beauty Clinic were also there for acupuncture. Many Filipinos also donated blood to the Cambodian Red Cross. Next month, the embassy will be holding another significant event for all workers who need to officially register their names as overseas Filipino workers (OFW). The Multi-Agency Service Mission will see the participation of various OFW-relevant government agencies from the Philippines on April 6 and 7.